Here at Keith Willis Associates, we aren’t content with just filling out and filing your tax returns, we can build an effective tax plan to ensure you’re not paying unnecessary taxes, and are paying the minimum on taxes you’re obligated to pay. Through our rigorous business and financial analysis, we provide tax planning advice to help maximise profit and the efficiencies of your company. We take away the stress of completing forms and paperwork, ensuring all your tax documents are completed accurately and on time. Our year end tax planning service will keep your company in the best shape possible in preparation for the new tax year, and our ongoing business and personal tax advice will prevent you from losing funds unnecessarily throughout the fiscal year. 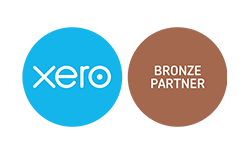 If you’d like a friendly team of accountants to work closely with you to build a comprehensive tax plan for you or your business, contact Keith Willis Associates today. We operate in and around Nottingham, and we are always happy to help.